Chrysotile is a serpentine asbestos ore. It features wavy or curly fibers that are a whitish color. This magnesium silicate mineral is extraordinarily strong. Because of its flexibility and resistance to damage from chemicals and heat, chrysotile is a popular building material. From the 1940s through the 1970s, it was a prevalent component in thousands of items, including vinyl floor tiles. Chrysotile flooring is still present in many homes, schools, apartment complexes and office buildings. Depending on when the tile was manufactured, it can contain 7 percent to 20 percent asbestos. 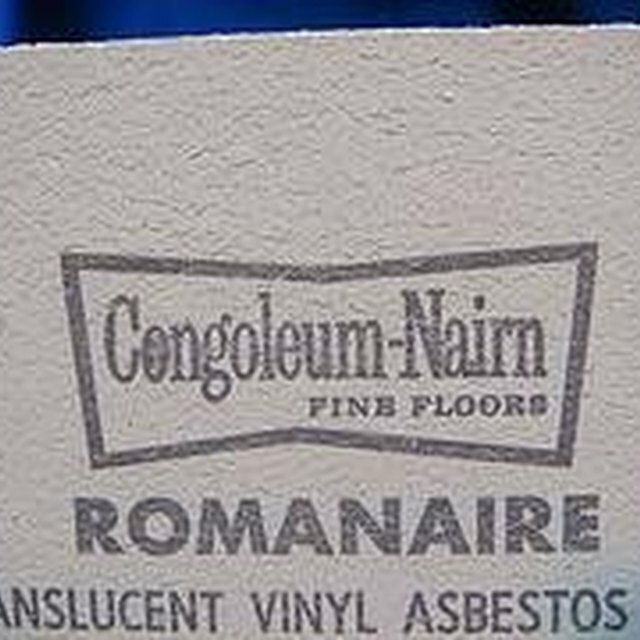 The adhesive used to attach these vinyl tiles to the floor often contains asbestos also. As these products age and decay, they can sometimes release chrysotile into the environment When a product that contains asbestos is disturbed, tiny fragments break free. Tile is considered nonfriable and often poses little or no risk when left undisturbed. However, if it is broken or damaged it can create a hazard. Some of the most frequent causes of exposure to loose chrysotile fibers are building renovation and repairs. Homeowners, construction workers, and asbestos abatement professionals can all be exposed to chrysotile from broken floor tiles. This occurs during activities such as scraping, sanding, drilling, cutting or removal. Chrysotile fragments can come into direct contact with the skin in these circumstances. These particles may also become airborne and be inhaled into the lungs Demolition activities can also release significant quantities of chrysotile into the air. The destruction of the World Trade Centers exposed thousands of individuals to dust and debris that was contaminated with to various forms of asbestos. Workers involved in the cleanup were also exposed to these dangerous substances. Skin contact with chrysotile fragments may cause irritation similar to that caused by fiberglass. Tiny splinters of asbestos can work their way into the skin and eventually the fibers will become overgrown with calluses. Broken pieces of chrysotile fiber are very light and can easily become airborne. Inhalation of such particles causes scarring of the lung tissue (asbestosis). It can also increase the likelihood of lung cancer. Smokers are much more likely than nonsmokers to develop lung cancer from asbestos exposureThe risks of serious health consequences increase with long exposure to significant quantities of the substance. Isolating or sealing off areas that contain damaged chrysotile is usually preferable to removing it. The removal or "abatement" process itself can create more of a hazard than the original damage. It stirs up a great deal of asbestos contaminated dust. Only trained abatement technicians should attempt to repair or replace damaged chrysotile flooring. They must wear protective gear to reduce exposure. The clothing worn during asbestos removal generally becomes contaminated and must be disposed of safely. Regular dust masks do not protect against inhalation. At a minimum, HEPA cartridge filtered masks are required. Rubber gloves, boots and clear goggles are required to prevent skin and eye contact with asbestos. In 2008, the US. imported more than 1,800 metric tons of chrysotile for domestic use in products such as building materials and brake pads. Manufacturers who make items that contain asbestos now fix the material in a matrix. This means the fibers are less likely to break free and cause contamination. Concern about the safety of such products is still prevalent.